Cleopatra Records recently send us information for the upcoming DVD and Blu-Ray release of "Forever and a Day" The documentary takes a look at the career of the rock band Scorpions and their intended farewell tour before they changed their minds. Describing "Wind of Change" as "the soundtrack of the most peaceful revolution on Earth," Schenker says The Scorpions' visit with Gorbachev was "something very special" since they were the first, and possibly the only, Western band ever invited to the Kremlin. 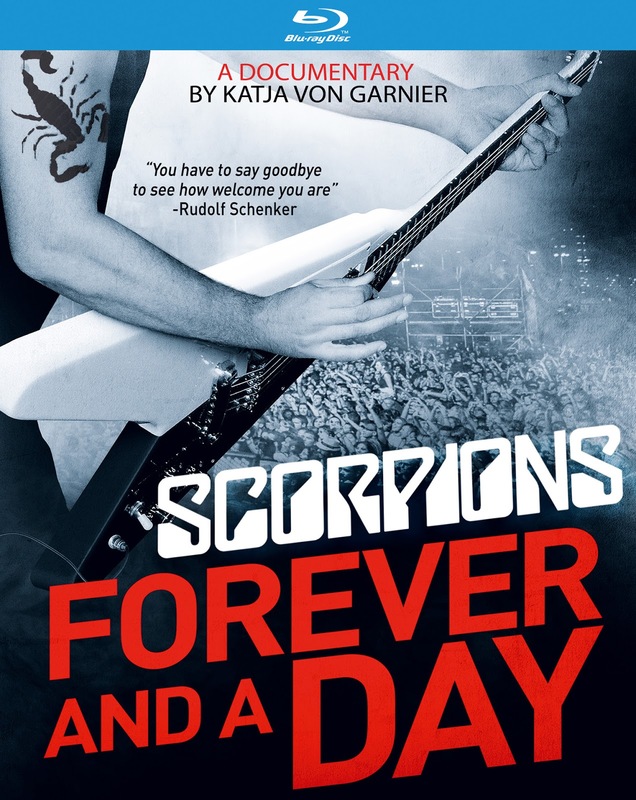 He adds that The Scorpions are still friendly with Gorbachev, who makes an appearance in Forever and a Day commenting about the group and the impact of "Wind of Change." The Scorpions will finish the year with a series of European dates in November and December, with more to come in February and March of 2016, including a run of shows in their homeland. Jabs says the band also plans to play more U.S. shows in May, and may visit South America and China as well. Check The-Scorpions.com for the group's confirmed itinerary.